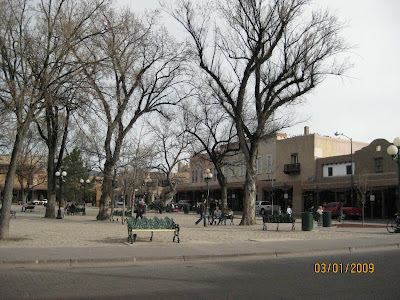 I’ve been eager to return to Santa Fe since I started this blog in June 2008. 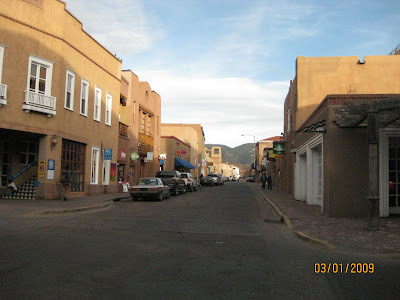 My quest at the time was to find my geographic soul mate, and Santa Fe loomed as potentially “the one.” I’d last visited on a post-college road trip, and of all the places we stopped, it stood out as the city with the most unusual, peaceful lifestyle. And truly, there is nowhere like Santa Fe, which is why it’s ranked the second best place to live in America by Sperling’s Best Places as well the number four destination in the US by Conde Nast Traveler readers. Since the start of the blog, however, a lot of things have happened. I’ve gone on dates with long-standing crushes (e.g. Charleston, South Carolina), old flames (e.g. New York, New York), and new, unexpectedly beguiling suitors (e.g. Los Alamos, California; Apalachicola, Florida.) I’ve thought a lot about the right size city, as well as other criteria like home prices, culture and airport proximity. And perhaps most importantly, I’ve questioned whether I should be looking to hunker down in one place for the rest of my years. After all, is that really a fit with my intractable wanderlust? The result is that I’ve dispatched the notion of a “long-term match” in favor of “my next great affair.” My new vision is that I still have several more places to live in me, and I should be looking for a place to spend the next five or so years with. This has been a fundamental shift in thinking, as I don’t have to reconcile things like: could I live in an arid desert forever? Or, will I ever return to the East Coast? Or, what about my dream of living abroad at some point? Now, I’m looking for the stepping stone that will help me relieve my ticking “real estate clock" and grow as a person. 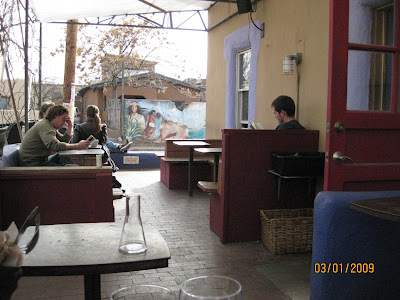 So how did Santa Fe sync up when I finally visited in March? Beautifully, in all ways but one: price. 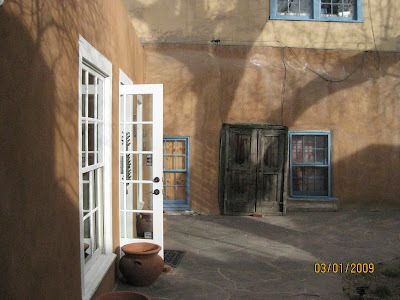 Despite New Mexico’s generally low cost of living (it’s the 27th cheapest state in the US), Santa Fe is not a bargain. It’s the most expensive county in New Mexico, and thanks to its far-reaching reputation and million-plus tourists per year, it attracts wealthy retirees, transplants and second home owners who help keep the housing prices elevated. Case in point: while the average home price in Santa Fe County is down from 2008, it’s still averaging $440,000 thus far in 2009. As a true luxury destination, it’s also not unusual to see $1,000/night hotel rates and $35 dinner entrees catering to the elite visitors seeking refuge here. Beyond this $$$ revelation, Albuquerque emerged as an affordable, livable city (area population 845,913) not to be overlooked, and I saw that the areas along the Turquoise Trail in between the two offered nature, space and privacy, the latter being something that had recently jumped in importance after one too many days working from home to the sounds of construction, car alarms and hyperactive yip dogs. If it was within reach to have more room, more acreage and more serenity for as low as $115/square foot, and be within easy driving distance of both Santa Fe and Albuquerque (including the airport), wouldn’t that be the best of all worlds? The answer: YES. 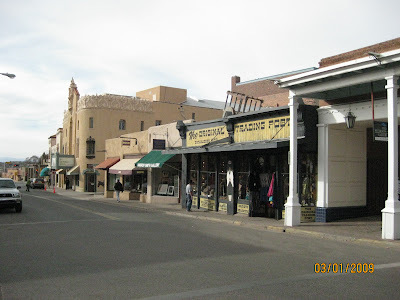 So you could say my crush on Santa Fe has not be extinguished - it’s only broadened to include the surrounding area, which encompasses desert, forest and mountains. The great joy of a state with only 1.9 million people (making it the sixth most sparsely populated state in the US) is that getting from place to place does not involve any of the pain, frustration and incivility that driving 30 minutes or an hour within LA can invoke. It’s frankly therapeutic for this Angeleno to be able to drive 75 miles per hour without stopping. The difference is that you actually do cover 75 miles in each hour you drive, versus spending 20 minutes stuck in traffic only to move half a mile. Thus, the conclusion of my trip was that I don’t have to live IN Santa Fe to enjoy it. I just need to be nearby. That way, I can still grab an organic/fair trade coffee at the uber-funky Aztec Café (pictured above), an amazing Ayurvedic stir fry at yoga-centric Annapurna (when you sneeze, they say “Blessings”) or some down-home BBQ and brew at the Cowgirl Bar & Grill. Or I can head to the historic Pink Adobe restaurant’s Dragon Room lounge whenever I'm craving the Rosalita, the best margarita I’ve had in years, which is made with cranberry and gran gala, a triple orange Italian liqueur. Maybe I’ll even rent a hot tub at the Zen mountain retreat Ten Thousand Waves. Because the relaxing drive just might wear me out. Wonder what these other comments say-lol. Santa Fe is expensive, but in truth, though there are $1,000 a night hotel rooms and there are in any city, that is not the norm, even for the downtown hotels. In high season (June through October) rooms are are more expensive than the rest of the year, but since the economic downturn, there are relative bargains to be had.